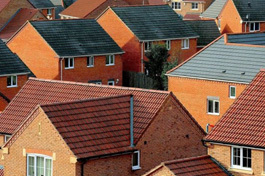 We have particular experience of providing our services within the housing sector. Approximately 70% of our work is carried out to support routine maintenance and refurbishment of residential properties – typically social or affordable housing i.e. Decent Homes or other routine maintenance/refurbishment schemes. The key issue is working in occupied premises. We operate a Code of Conduct for Working in Occupied Premises which has been integrated into our company induction training, refresher training, toolbox talks and a copy issued as part of our Employee Handbook. All our operational staff have been CRB-checked and receive annual customer care training which emphasises politeness, appearance, empathy and respect. Typically the residential maintenance/refurbishment programmes are also carried out to tight timescales. We are aware that our work typically precedes other disciplines and indeed the building work is predicated upon survey data that we provide. We understand the importance of providing survey data in a timely fashion to facilitate the work of the contractors that succeed our attendance in site. During the planning stage care will be taken to allocate adequate resources to ensure that appointments are kept. This will help community relations also. We have also developed systems and relationships with bulk sampling suppliers to enable results to be provided in 24-48 hours to ensure that our work does not delay or disrupt the contractors’ programme/s. Results of bulk sampling are provided to the contractor in advance of the full report which is submitted digitally (pdf format) 5-7 working days after the survey date. For example, to enable the refurbishment programme at Tower Hamlets to “hit the ground running” in June 2013, we devised and implemented an accelerated works campaign in which initially we deployed a team of three lead surveyors for the first six weeks of the programme to carry out mixed R&D and management surveys to an Estate in Bow, London E3.